Midland law firm mfg Solicitors has launched its new-look taxation department as part of its private client offering. 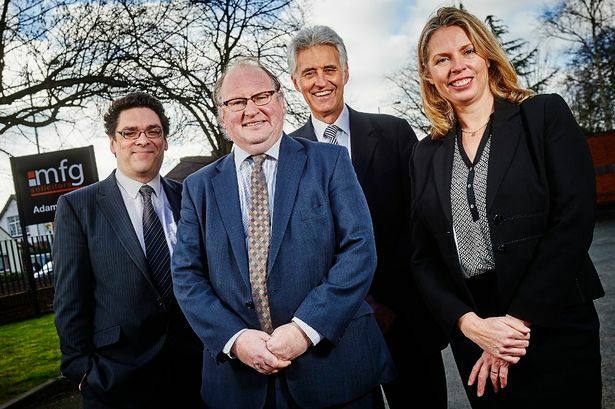 The team, which is based at the firm’s Adam House headquarters in Kidderminster, will be headed up by tax expert Stephen Meredith who has also been promoted to partner. An inheritance tax and succession planning specialist, Mr Meredith joined mfg in summer 2014 as a tax consultant. He will now lead the department, working closely with associate Gary Priest and senior consultant Alan Neal. The establishment of the new team follows 12 months of growth. Valerie Robinson, partner and head of mfg’s private client division, said: “In recent months we have seen a substantial increase in the number of clients placing their trust in Stephen and the team to handle some extremely intricate tax matters. “These are clients from all corners of the country so I am delighted with the impact we are making and how we have improved an already strong reputation. “I am certain that Stephen will continue to drive the department forward in his new role as partner and maintain our competitive edge. Credited with establishing the firm’s tax department, Mr Neal is renowned for the role he has played in a series of high profile farm-related taxation cases. Mr Priest has been with mfg since 2005 and specialises in all tax matters working especially in the rural sector with landowners, farmers and owner-managed businesses.